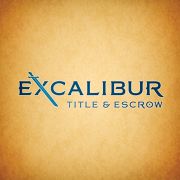 Frederick, Maryland, USA - Excalibur Title and Escrow LLC, a Maryland Title Company, announces the launch of their Facebook fan page. The company wants to use the social media platform to obtain quality “real time” contact with their clients. Todd Hylton, the owner of the company explained what the objective with the new Facebook page is. “Essentially we are trying to optimise communication with our existing and future clients. We are very aware of the potential that Facebook has for massive market communication and want to make the most of it. We want to provide relevant timely industry information and also to build and enhance relationships,” said Hylton. Another objective of the Facebook site is to enable existing customers to suggest the company’s services in a slightly less formal way. The Facebook site has been operating for only a short time and already there are more than 70 followers so with an estimated 600 million Facebook users in the world there should be no shortage of new fans. Anyone can follow the page. All they have to do is visit the Excalibur Title and Escrow page on Facebook, which is here http://ping.fm/9bOKt and then click on the “Like” button that is next to the page title at the top. “We would like to see as many people follow us as possible. We will be posting topical information on a regular basis so it will be worth visiting the page often,” stated Hylton. There will be monthly discounts and coupons on the new site.